The inspiration for these socks came from my love of all things Harry Potter. I imagined Mrs. Weasley magically knitting socks for her children before they left for Hogwarts to start off the school year! She would need to make quite a few pairs of them so the pattern needed to be easy to memorize yet entertaining. The Diagon Ally socks begin with a twisted rib cuff that flows into a broken rib pattern. 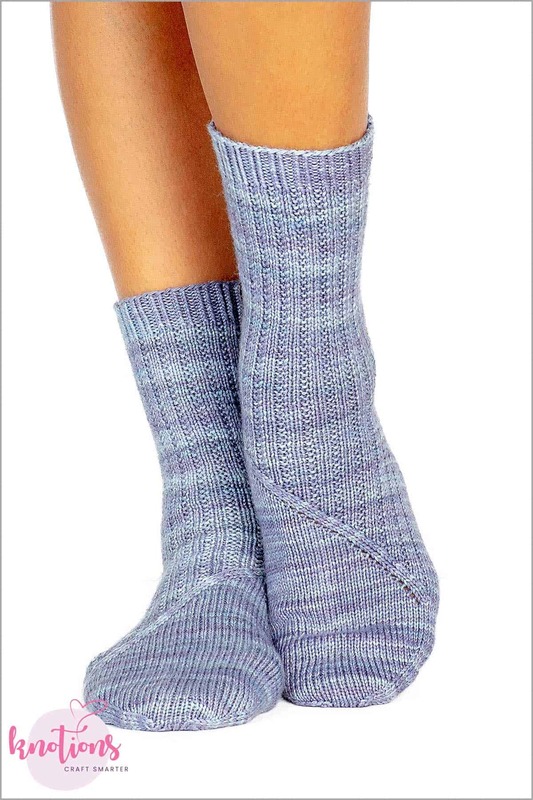 After a slip-stitch heel is worked, a faux cable is created with yarn-overs and decreases to give a sharp contrast to the broken rib and stockinette stitch design for the top of the sock, while the sole remains in stockinette stitch. The toe of the sock is continued in stockinette and closed with the Kitchener stitch. 34 sts and 48 rows = 4″ [10 cm] in St st in the round after wet blocking. 36 sts and 52 rows = 4″ [10 cm] in Broken Rib pattern in the round after wet blocking. When picking up stitches along the heel flap, insert needle tip under both legs of the slipped st along the edge of the heel flap, wrap the yarn around your needle kwise, and pull through onto RH needle. 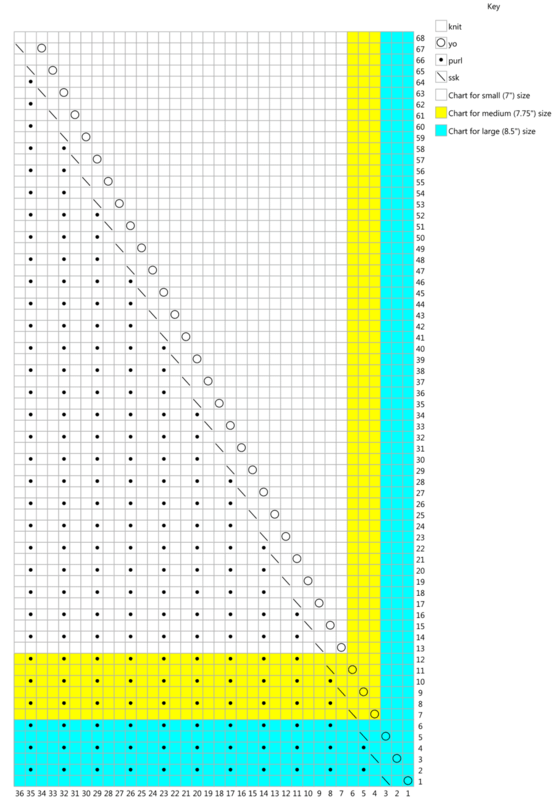 Chart Reading: Because the piece is knitted in the round, all charted rows are RS rows. CO 60 (66, 72) sts with a long tail cast on or elastic cast on of your choice, and join for working in the rnd, distributing stitches on needles as you prefer and being careful not to twist the sts. Mark the beginning of the rnd with a removable marker. Rnds 1-12: K1tbl, *p1, k2tbl; rep from * until 2 sts rem, p1, k1tbl. Rnd 1: K to end of rnd. Rnd 2: K1, *p1, k2; repeat from * until 2 sts rem, p1, k1. Work Rnds 1-2 36 times total or until desired length. Set-up Row 1 (RS): K30 (–, 36), turn work. Set-up Row 2 (WS): P30 (–, 36), turn work. Heel flap is worked over these 30 (–, 36) sts. Rearrange sts as you prefer on needles. Remaining 30 (–, 36) sts will be worked later for instep. Set-up Row 1 (RS): K1, k2tog, k30, turn work; 1 st dec.
Set-up Row 2 (WS): P32, turn work. Heel flap is worked over these 32 sts. Rearrange sts as you prefer on needles. Remaining 33 sts will be worked later for instep. Row 1 (RS): *Sl1 pwise wyb, k1; rep from * across. Row 2 (WS): *Sl1 pwise wyf, purl across. Row 1 (RS): K17 (18, 20), ssk, k1 turn work. Row 2 (WS): Sl1 pwise wyf, p5, p2tog, p1, turn work. Row 3: Sl1 pwise wyb, k to 1 st before gap, ssk (1 st from each side of gap), k1, turn work. Row 4: Sl1 pwise wyf, purl to 1 st before gap, p2tog (1 st from each side of gap), p1, turn work. Rep Rows 3 & 4 3 (4, 5) times more. Final RS Row: K to 1 st before gap, ssk (1 st from each side of gap), k1 (0, 0). Final WS Row: P to 1 st before gap, p2tog (1 st from each side of gap), p1 (0, 0). Note: Right and Left Gusset Set Up rows need to be worked before starting the charts for the instep because pattern carries over into the gusset 1 st so that the diagonal stitch pattern flows out of the ribbing. 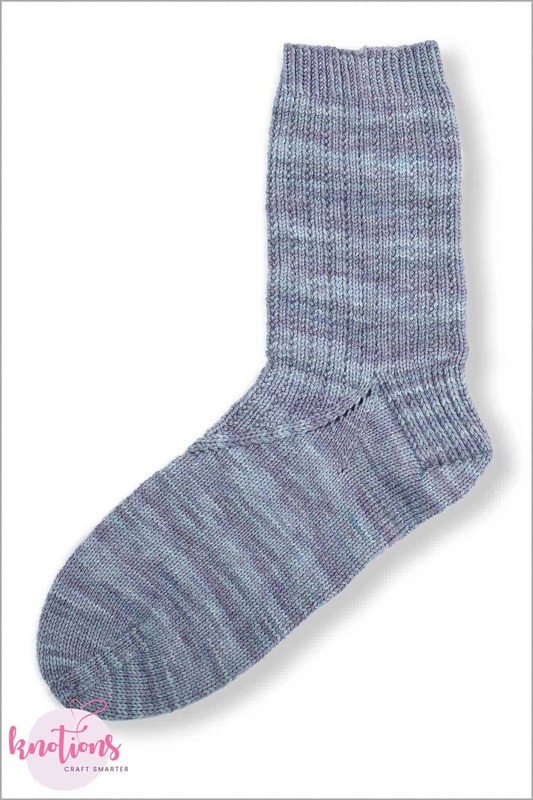 The Gusset section is written separately for the Right Sock and Left Sock. This is the new start of round; rearrange sts or place marker as you prefer. Set-up Rnd 2 gusset: K to 3 sts before instep, k2tog, k1, (start of instep) k1, *p1, k2; rep from from * to last 2 instep sts, p1, k1, (start of gusset) k1, ssk, k to end of rnd; 2 sts dec.
Set-up Rnd 3 gusset: K to instep, k28 (31, 32), k2tog, k1 gusset st and move k1 back to instep ndl, yo, k to end of rnd. Set-up Rnd 4 gusset: K to 3 sts before instep, k2tog, k1, k1, *p1, k2; rep from * to last 5 instep sts, p1, k4, k1, ssk, k to end of rnd; 2 sts dec.
Gusset Rnd 1: K to instep, work Right Sock Chart for your size (beginning with Row 13 (7, 1)),, k to end of rnd. Gusset Rnd 2: K to 3 sts before instep, k2tog, k1, work next row Right Sock Chart for your size, k1, ssk, k to end of rnd; 2 sts dec.
Continue on to Foot instructions for your size. Set-up Rnd 1-2 gusset: Work Right Gusset Set-up Rnds 1-2. Set up Rnd 3 gusset: K to 1 st before instep, yo, k1 and move k1 to instep ndl, ssk, k to end of rnd. Set up Rnd 4 gusset: K to 3 sts before instep, k2tog, k1, k4, p1, *k2, p1; rep from * to last instep st, k1, k1, ssk, k to end of rnd; 2 sts dec.
Gusset Rnd 1: K to instep, work Left Sock Chart for your size (beginning with row 13 (7, 1)), k to end of rnd. Gusset Rnd 2: K to 3 sts before instep, k2tog, k1, work next row of Left Sock Chart for your size, k1, ssk, k to end of rnd; 2 sts dec. Right Set up Rnd 1: K to instep, work pattern from Chart or Written Directions across instep sts, k2, m1l, k to end of rnd; 1 st inc.
Left Set up Rnd 1: K to last 2 instep sts, m1r, k2, work pattern from Chart or Written Directions across instep sts, k to end of rnd; 1 st inc.
Work in rnds, working instep in pattern until row 68 of Chart is complete. 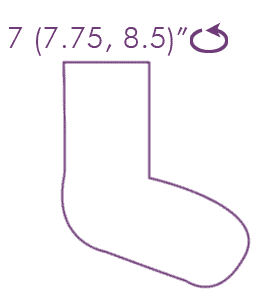 Continue in St st until sock measures 1.5″ (3.8 cm) less than desired foot total length from back of heel. 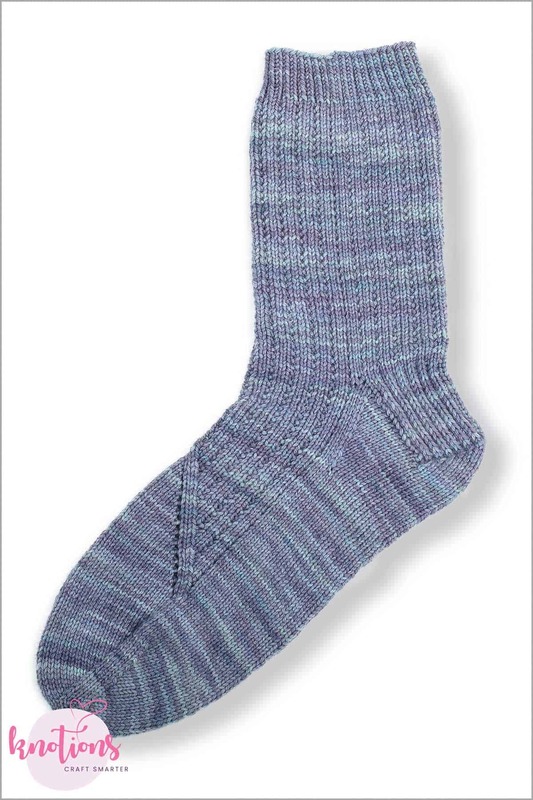 Note: If the sock measures 1.5″ (3.8) less than desired foot total length but Chart is not completed, stop working from the Chart and begin with directions for the Toe. Set-Up: Remove end of rnd marker, k15 (16, 18) to end of sole. This is the new start of rnd at the beginning of the instep; rearrange sts or place a removable marker as you prefer. The first half of the sts are the instep, the second half are the sole. Rnd 1: K1, ssk, k to 3 sts before end of instep, k2tog, k1, (start of sole) k1, ssk, k to 3 sts before end of sole, k2tog, k1; 4 sts dec.
Cut yarn, leaving a 12″ [30 cm] tail; use Kitchener to graft rem sts. 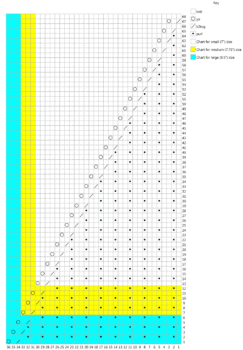 Weave in ends and block to measurements. Rnd 1: K33, k2tog, k1, yo. Rnd 2: K1, [p1, k2] 11 times, k2. Rnd 3: K32, k2tog, k1, yo, k1. Rnd 5: K31, k2tog, k1, yo, k2. Rnd 6: K1, [p1, k2] 10 times, k5. Rnd 7: K30, k2tog, k1, yo, k–(0, 3). Rnd 8: K1, [p1, k2] 10 times, k–(2, 5). Rnd 9: K29, k2tog, k1, yo, k–(1, 4). Rnd 10: Rep Rnd 8. Rnd 11: K28, k2tog, k1, yo, k–(2, 5). 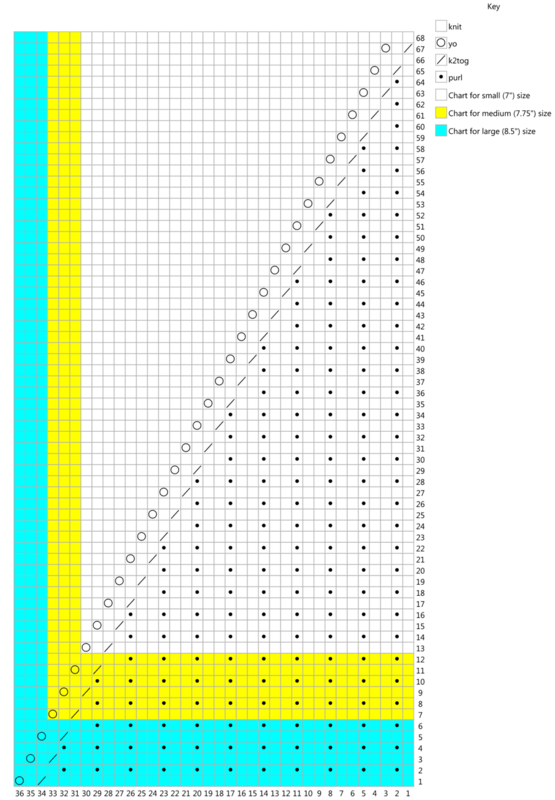 Rnd 12: K1, [p1, k2] 9 times, k–(5, 8). Rnd 13: K27, k2tog, k1, yo, k0 (3, 6). Rnd 14: K1, [p1, k2] 9 times, k2 (5, 8). Rnd 15: K26, k2tog, k1, yo, k1 (4, 7). Rnd 17: K25, k2tog, k1, yo, k2 (5, 8). Rnd 18: K1, [p1, k2] 8 times, k5 (8, 11). Rnd 19: K24, k2tog, k1, yo, k3 (6, 9). Rnd 20: Rep Rnd 18. Rnd 21: K23, k2tog, k1, yo, k4 (7, 10). Rnd 22: Rep Rnd 18. Rnd 23: K22, k2tog, k1, yo, k5 (8, 11). Rnd 24: K1, [p1, k2] 7 times, k8 (11, 14). Rnd 25: K21, k2tog, k1, yo, k6 (9, 12). Rnd 26: Rep Rnd 24. Rnd 27: K20, k2tog, k1, yo, k7 (10, 13). Rnd 28: Rep Rnd 24. Rnd 29: K19, k2tog, k1, yo, k8 (11, 14). Rnd 30: K1, [p1, k2] 6 times, k11 (14, 17). Rnd 31: K18, k2tog, k1, yo, k9 (12, 15). Rnd 32: Rep Rnd 30. Rnd 33: K17, k2tog, k1, yo, k10 (13, 16). Rnd 34: Rep Rnd 30. Rnd 35: K16, k2tog, k1, yo, k11 (14, 17). Rnd 36: K1, [p1, k2] 5 times, k14 (17, 20). Rnd 37: K15, k2tog, k1, yo, k12 (15, 18). Rnd 38: Rep Rnd 36. Rnd 39: K14, k2tog, k1, yo, k13 (16, 19). Rnd 40: Rep Rnd 36. Rnd 41: K13, k2tog, k1, yo, k14 (17, 20). Rnd 42: K1, [p1, k2] 4 times, k17 (20, 23). Rnd 43: K12, k2tog, k1, yo, k15 (18, 21). Rnd 44: Rep Rnd 42. Rnd 45: K11, k2tog, k1, yo, k16 (19, 22). Rnd 46: Rep Rnd 42. Rnd 47: K10, k2tog, k1, yo, k17 (20, 23). Rnd 48: K1, [p1, k2] 3 times, k20 (23, 26). Rnd 49: K9, k2tog, k1, yo, k18 (21, 24). Rnd 50: Rep Rnd 48. Rnd 51: K8, k2tog, k1, yo, k19 (22, 25). Rnd 52: Rep Rnd 48. Rnd 53: K7, k2tog, k1, yo, k20 (23, 26). Rnd 54: K1, p1, k2, p1, k25 (28, 31). Rnd 55: K6, k2tog, k1, yo, k21 (24, 27). Rnd 56: Rep Rnd 54. Rnd 57: K5, k2tog, k1, yo, k22 (25, 28). Rnd 58: Rep Rnd 54. Rnd 59: K4, k2tog, k1, yo, k23 (26, 29). Rnd 60: K1, p1, k28 (31, 34). Rnd 61: K3, k2tog, k1, yo, k24 (27, 30). Rnd 62: Rep Rnd 60. Rnd 63: K2, k2tog, k1, yo, k25 (28, 31). Rnd 64: Rep Rnd 60. Rnd 65: K1, k2tog, k1, yo, k26 (29, 32). Rnd 67: K2tog, k1, yo, k27 (30, 33). Rnd 1: Yo, k1, ssk, k33. Rnd 2: K4, [p1, k2] 10 times, p1, k1. Rnd 3: K1, yo, k1, ssk, k32. Rnd 5: K2, yo, k1, ssk, k31. Rnd 6: K7, [p1, k2] 9 times, p1, k1. Rnd 7: K–(0, 3), yo, k1, ssk, k30. Rnd 8: K–(4, 7), [p1, k2] 9 times, p1, k1. Rnd 9: K–(1, 4), yo, k1, ssk, k29. Rnd 11: K–(2, 5), yo, k1, ssk, k28. Rnd 12: K–(7, 10), [p1, k2] 8 times, p1, k1. Rnd 13: K0 (3, 6), yo, k1, ssk, k27. Rnd 14: K4 (7, 10), [p1, k2] 8 times, p1, k1. Rnd 15: K1, (4, 7), yo, k1, ssk, k26. Rnd 16: Rep Rnd 14. Rnd 17: K2 (5, 8), yo, k1, ssk, k25. Rnd 18: K7 (10, 13), [p1, k2] 7 times, p1, k1. Rnd 19: K3 (6, 9), yo, k1, ssk, k24. Rnd 21: K4 (7, 10), yo, k1, ssk, k23. Rnd 23: K5 (8, 11), yo, k1, ssk, k22. Rnd 24: K10 (13, 16), [p1, k2] 6 times, p1, k1. Rnd 25: K6 (9, 12), yo, k1, ssk, k21. Rnd 27: K7 (10, 13), yo, k1, ssk, k20. Rnd 29: K8 (11, 14), yo, k1, ssk, k19. Rnd 30: K13 (16, 19), [p1, k2] 5 times, p1, k1. Rnd 31: K9 (12, 15), yo, k1, ssk, k18. Rnd 33: K10 (13, 16), yo, k1, ssk, k17. Rnd 35: K11 (14, 17), yo, k1, ssk, k16. Rnd 36: K16 (19, 22), [p1, k2] 4 times, p1, k1. Rnd 37: K12 (15, 18), yo, k1, ssk, k15. Rnd 39: K13 (16, 19), yo, k1, ssk, k14. Rnd 41: K14 (17, 20), yo, k1, ssk, k13. Rnd 42: K19 (22, 25), [p1, k2] 3 times, p1, k1. Rnd 43: K15 (18, 21), yo, k1, ssk, k12. Rnd 45: K16 (19, 22), yo, k1, ssk, k11. Rnd 47: K17 (20, 23), yo, k1, ssk, k10. Rnd 48: K22 (25, 28), [p1, k2] twice, p1, k1. Rnd 49: K18 (21, 24), yo, k1, ssk, k9. Rnd 51: K19 (22, 25), yo, k1, ssk, k8. Rnd 53: K20 (23, 26), yo, k1, ssk, k7. Rnd 54: K25 (28, 31), p1, k2, p1, k1. Rnd 55: K21 (24, 27), yo, k1, ssk, k6. Rnd 57: K22 (25, 28), yo, k1, ssk, k5. Rnd 59: K23 (26, 29), yo, k1, ssk, k4. Rnd 60: K28 (31, 34), p1, k1. Rnd 61: K24 (27, 30), yo, k1, ssk, k3. Rnd 63: K25 (28, 31), yo, k1, ssk, k2. Rnd 64: Same as Rnd 60. Rnd 65: K26 (29, 32), yo, k1, ssk, k1. Rnd 67: K27 (30, 33), yo, k1, ssk. Lori Wagner resides in Temecula, California where she and her husband own and operate a chiropractic practice. She learned to knit in 2008 while on a girl’s getaway and started designing and self-publishing her designs on Ravelry in 2012. 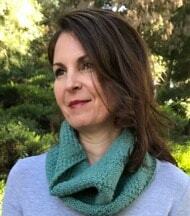 When not knitting, she enjoys reading, hiking and hanging out with her two cats and canary. 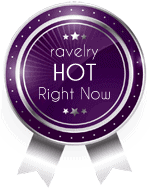 Please visit her designer page here on Ravelry! Is it possible to get hold of this beautiful pattern without the ads? You can def choose what to print/not print if you use the PDF option in the teal color toward the top and bottom of the pattern. It allows you to create a custom document!